Scorpions can be a FRUSTRATING pest to eliminate due to physical characteristics that give them an edge on SURVIVAL! Luckily Responsible Pest Control specializes in EFFECTIVE scorpion control that not only eliminates scorpions now, but also prevents future infestations! 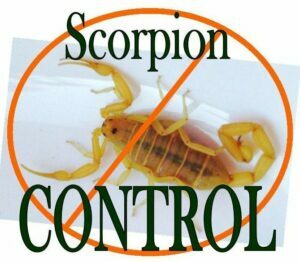 Responsible Pest Control specializes in applications that kill and control scorpions (not just their food sources) and PREVENT future infestations! We’ve collected thousands of scorpions and ran tests on each professional product to discover which ones control scorpions best despite their hardy survival characteristics! Responsible scorpion control pro’s know WHICH products work and WHERE they work best delivering the most effective scorpions control – GUARANTEED! Scorpions are HARDY pests who are difficult to control, and have SURVIVED for millions of years for a few reasons! Scorpions have exoskeletons that provide them with protection against prey, and PROTECTION against incorrect pest control applications, environmental harm, predators, and water loss. Scorpions breath through spiracles, or small external respiratory openings that can open and CLOSE. They have the same respiratory system that allows roaches to live a week without a head! Body segments #3-7 of the scorpions abdomen each have a pair of spiracles through which they breath. Scorpions can close their spiracles when needed to survive environments that would other wise kill them, like in ineffective pesticides and under water. 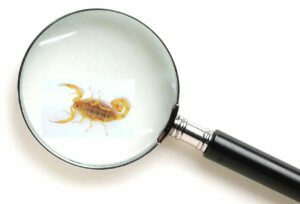 Scorpions are often seen crawling on the bottom of a pool, and can survive underwater for a couple days! Scorpions are often inactive, and have a LOW METABOLIC RATE, allowing them to go with out food for several MONTHS up to a year! They hibernate or nest through cold weather, JUMP right back into action as soon as it heats up, and live 6-8 years in Gilbert AZ & Greater Phoenix areas!